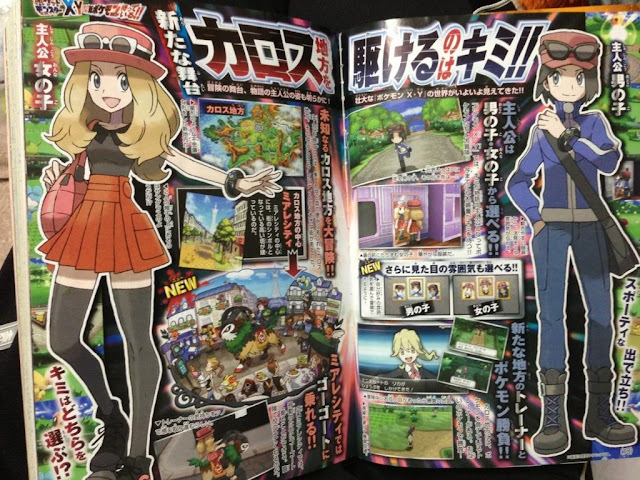 CoroCoro magazine has revealed some new information about Gamefreak's project Pokemon X and Y. The magazine spilled the beans on two nameless protagonist, one stylish female and a strange looking boy, each with nifty gadgets and accessories. The source also revealed a name for the new region which is going by The Karos Region and is supposedly inspired by France. It will be home to lots mountains and large cities for you to explore. There's also going to be character customization but what you customize is not exactly clear as of yet. Let's hope it's not too basic, eh? And four brand new sparkling Pokemon are to be introduced to the series.